this piece was the last in a series i did after a visit to holland during the spring some years ago. there were amazing fields of tulips and equally amazing skies. the early pieces in the series featured discernible flowers in beds which become more color fields as they recede. by this, the final piece in the series, the entire image has become a color field painting. 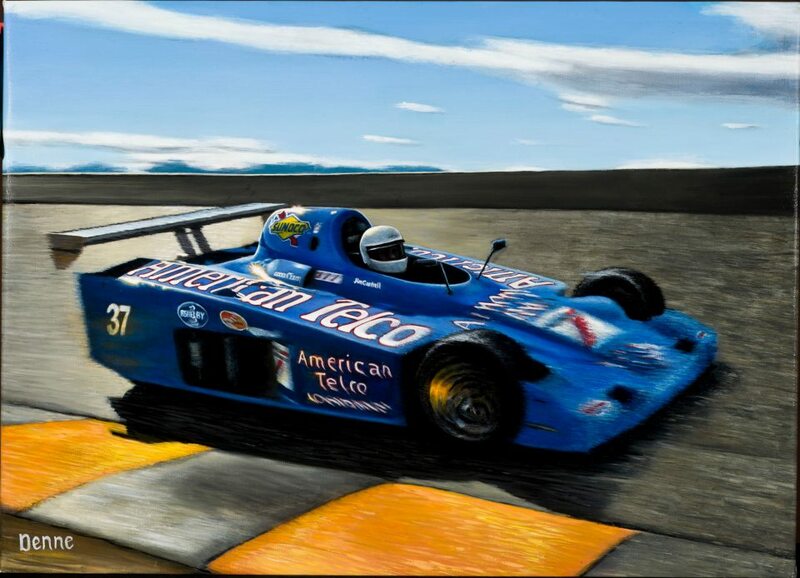 this piece; “american telco” is the first in a series of automotive paintings commissioned by jim cantrell of team raptor and vintage exotics competition engineering in phoenix AZ. it is a pretty straight forward project. the point of focus in the original photo was behind the driver, with all the motion in front of the car. for the painting i moved the point of focus forward, and added some sense of motion at the back. i also intensified the color and the contrast making for a very nice painting of a very fast car.